Is.. eh… self-publishing for you? The other day someone asked me on my Facebook page if I was self published. It was not a bad thing, I mean, she was trying to see if I wanted to hook up with the new horror/sci-fi division of her friends’ successful erotica book publishing business. However, it still made me feel weird, you know, and defensive. I was reacting as if self-publishing is a dirty word… a nasty, dirty, hyphenated and/or compound word. Self-publishing is not a dirty word, but it feels filthy at times, like online dating, or some other things I can’t mention by name because I’ve said this blog is PG rated. However, “human nature” might also be a dirty world, and human nature is what makes “self-publishing” seem like a dirty word. Human nature dictates that if you do something, you’ll soon be assaulted by the “that-ain’t-crap” crowd. The aforementioned crowd never goes away, even if you are successful: it’s just that when you attain success, they will be known as “critics”. Yes, they are critics. If you are going to do something – anything in life, like say, decide to wear a Hello Kitty shirt when you’re over 30 – which is not completely standard and acceptable and bland and vanilla – you are going to run the risk of developing a case of The Critics. If you listen to The Critics long enough, you will become one. You will be your worse critic. You will be self-critiquing. I can’t really tell you why self-criticism is more socially acceptable than Doing Stuff, but it is. You will have to face your Inner Critic. Your Inner Critic is not always wrong. Neither are the other critics, always wrong. But dealing with criticism at the wrong point: when you are not ready for it because you are building something, can stop you in your tracks. Dealing with criticism when you are not ready for it is like waking up in sweats on the morning of your High School reunion and then just slipping on your house slippers and going down there to see those people you haven’t seen in 10, or 20 years, and wondering why you feel uncomfortable. Seriously. It is predictable: you are more likely to feel uncomfortable if you invite criticism when you are totally unprepared. Do not invite criticism UNTIL you are a little bit prepared. One of my high school friends told me I didn’t have a “real” publisher. 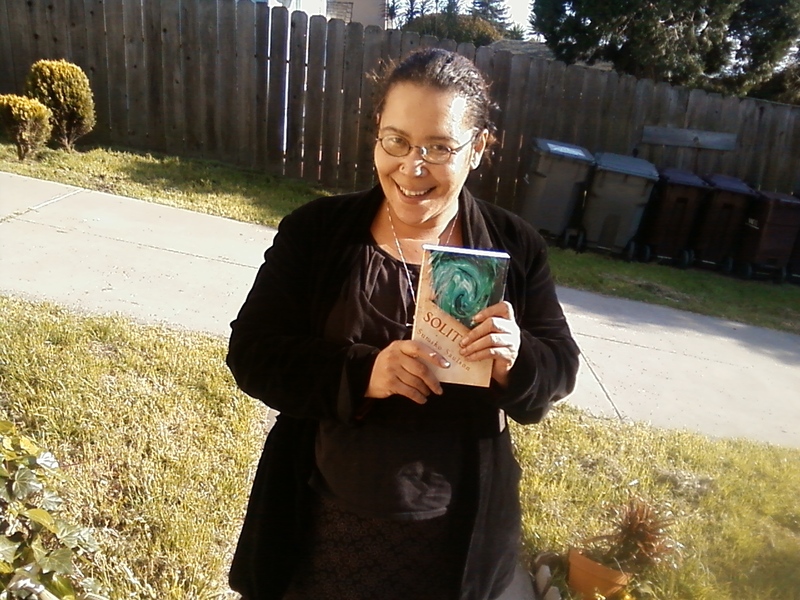 Here I am holding my real book. publish. I’m a compulsive writer. One of my favorite writers, Stephen King, actually joked in a forward to one of his books that he had a condition known as “Diarrhea of the Word Processor.” Yes – he actually said that, in the forward of whatever compilation of short stories of his I purchased when I first moved to San Francisco back in 1987. I am thinking it was the 1985 release of “Skeleton Crew”. I have a similar condition, but I do not have the condition he describes in the same introduction of having attained such popularity that people would buy his laundry list. Still… I write all the time.Novels are different than blogging and posting on Facebook. For me, mine are complete fictional emotional landscapes featuring various types of persons and personalities reacting in natural ways to unnatural situations. That is both the “how” and the “why” of me writing. Still, this equation doesn’t answer the “why” involved in me self-publishing. Once my first book, “Solitude” was completed, I wanted to get feedback from people who are close to me. As it turned out, getting the book printed by Lulu was actually cheaper than sending all of the 350 pages to Office Depot. It would have cost $35 to get it printed at Office Depot. 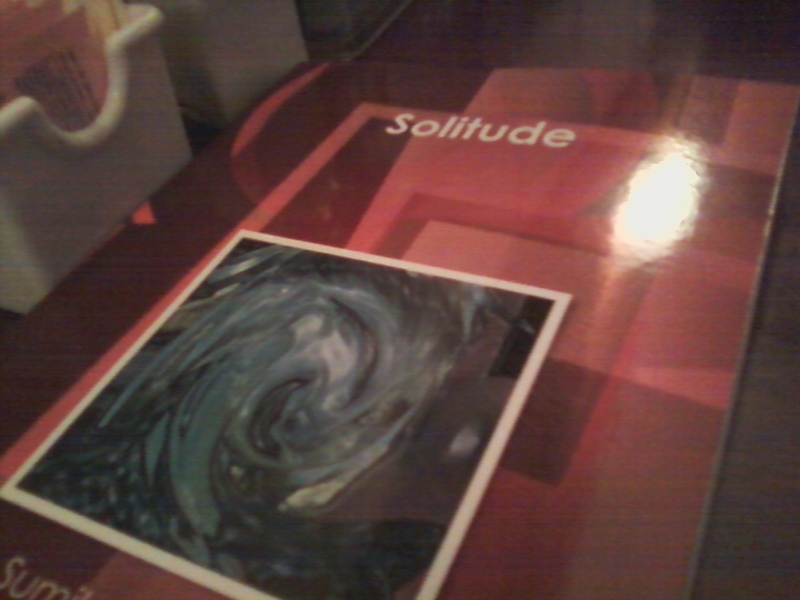 The original (Lulu) edition of Solitude. Cheaper than Office Depot. Incidentally, Lulu *is* the publisher. So I self-published because it was convenient to do so. Later, when I started to sell the books, I began learning more and more about how to price them, who wanted them, how to deal with the bookstores, etc. If this sounds like an accidental snowball effect to you, you are exactly correct: although, with my sales numbers barely into the triple digits it is a very tiny snowball. No one makes it onto a best seller’s list by selling 150 books. I don’t have any grand notions of what I am doing here – still, it feels AMAZING. I don’t have a lot of readers, and I can’t make a living at this I can more-than-break even. But basically… I am having fun. I am doing this because I like it. I self publish for the same reason I wear the Hello Kitty shirt – because I like it more than I care about other people not liking it. And believe me, I’m not exactly a thick skinned person. I think self-publishing may be for you if you care more about telling your story than you to about being rich, being famous, or being taken seriously by people who haven’t even read your book. Traditional publishing? That’s good, too. I wouldn’t turn it down. I may try for it. The thing is, I didn’t want to wait. ~ by Sumiko Saulson on May 16, 2012. 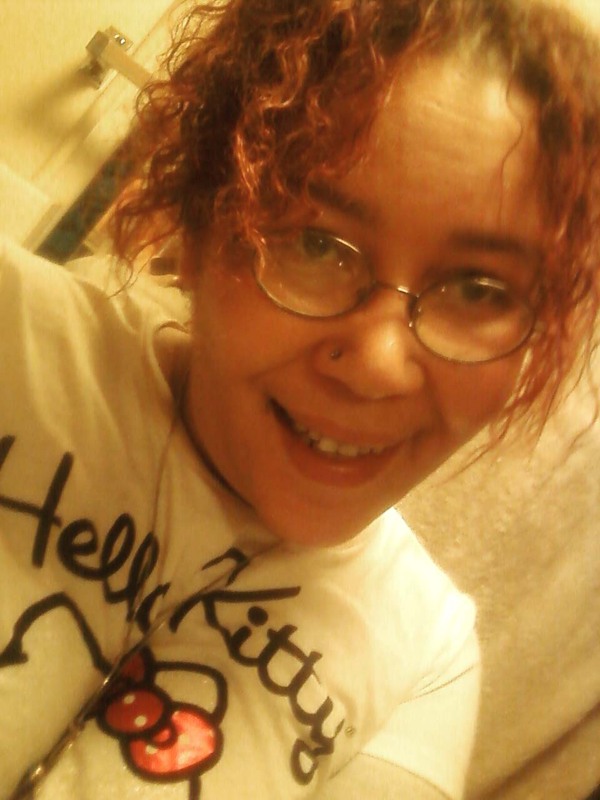 I am wearing a Hello Kitty shirt at the moment and will be approaching 30 pretty quickly here, so I just had to laugh!!! I am really happy to hear that it was helpful. You’re right – having a background in Desktop Publishing has helped me with paperback self-publishing: I know how to use the templates and how to create the artwork for the covers, and I have a lot of old friends and cronies who know something about the publishing world. I hadn’t really thought about that as an asset. Yes I think small press that uses SP sites is a good route for anyone who doesn’t wish to fuss around with Word templates and Photoshop. Otherwise, the self-content creation sites I use (Lulu and Createspace) both offer templates and cover-building tools. Although I tinkered around with the templates and added created elements to the covers, they are pretty easy to use. I had to learn the other bit – the eBook portion, because I had no prior experience with it.